Taboola Native, Rich Media advertising network details. 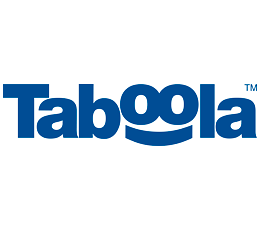 With team of expert engineers and digital media mavens, Taboola is among the world’s largest and most cutting-edge discovery platform – boosting user engagement, monetize their traffic, and deliver their content to relevant audiences. Since our first days in 2007, Taboola has been striving to help our publishers and marketers to focus on the target audience and power personalized recommendations to content on a wide range of the most visited websites. For advertisers, the Taboola Discovery Platform is designed to drive excellent marketing result for your business, achieving any marketing objectives. Also, we are trusted by top publishers across the world for always attracting relevant online users to their website and offer them seamless online experience. You can check Taboola reviews on Affbank and ask Taboola Team any question by using the contacts above, especially about how to earn money! i haven 't ever any trouble with itexept their payment system. they use this horrible payoneer and it's always . That will be super if they use other companies, like PAypal maybe? or wire? Please simplify the publisher's life! in taboola all is automatical. this is the main disadvantage I could't design and make my own ad. Also there is no feature to see what an ad looks like on a browser before or after it goes live. When reviewing the sites I wanted blocked, I could not see what the actual URL was, so I had to look each URL up and see where my ads were going. Some of these were very difficult to discern. I think Outbrain might be a better choice.